Cyclist who is known for her prolific international career. 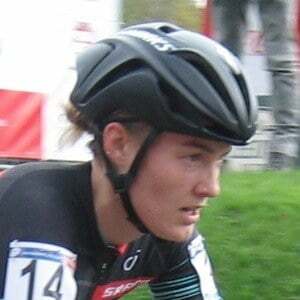 In 2013, she earned a silver medal at the US National Cycling Championships and placed in 15th at the World Championships. She graduated from Dartmouth College in 2011. While in college she began cycling after a skiing accident left her unable to ski. In the 2014-2015 cycling season, she made her debut as a member of the Belgian cycling team Kalas-NNOF. She finished in 5th place at the 2015 Valkenburg World Cup in the Netherlands. She was born and raised in Stowe, Vermont. Her mother was a skier and her father was a cyclist. She and fellow cyclist Jeremy Powers both compete in cyclocross at the international level.